Advancement of Meteorological and allied sciences in all their aspects. Dissemination of the knowledge of such sciences both among the scientific workers and among the public. Application of Meteorology and allied sciences to various constructive human activities, such as, agriculture and land uses, irrigation and power development, navigation of sea and air, engineering and technology, medicine and public health etc. Invited Talk by Dr. T.K. Saxena, Scientist (F), CSIR -National Physical Laboratory, New Delhi, on Industrial Automation on Aug. 07, 2014. Invited talk by Dr.Trikul Islam, Professor, JamiaMiliaIslamia University, New Delhi on Resistive Transducers and its Detection Electronics Circuits on Sept. 13, 2014. Invited Talk by Dr. Vijay Sood, Associate Professor, Department of Electrical, Computer and Software Engineering, Faculty of Engineering and Applied Science, University of Ontario on Smart grid and FACTS modelling on Dec. 16, 2014. Interactive session with Dr. Vijay Sood, Associate Professor, Department of Electrical, Computer and Software Engineering, Faculty of Engineering and Applied Science, University of Ontario for Research students and fellows of the department on Dec. 16, 2014. One day workshop on Quality Control and Testing of Electrical Appliances, jointly with BIS & NABL accredited Electrical Appliances Testing Laboratory, NSIC, Rajpura for undergraduate students of Electrical & Instrumentation Engg. in the first week of February, 2015 at NSIC site. 48 undergraduate students participated in the workshop. Institution of Engineers India (Thapar Chapter) is a technical society for electrical and electronic students. The society is based on the theme of technical excellence and it organizes workshops for the students on technical related subjects like Matlab, PLC SCADA, PCB Fabrication, Maple software, Oculus rift. The society also organizes guest lectures by various eminent personalities in various different new fields. The society also funds projects like Solar Energy, Robotics etc. Lecture on Embedded system and Parallel processing NViDIA Graphics and HBeonTechnology in October, 2009. College students from different branches participated in Technical quiz in collaboration with Aranya-09 in Aranya 2009. Industrial visit at State Load Dispatch Centre (PSEB) Patiala in January, 2010. Workshop on soldering conducted by IEI members for the 1st and 2nd year students in January, 2010. One day workshop on “Microcontrollers and FPGA” in collaboration with FREESCALE semi. (I) Noida on April 21, 2010. Expert Talk on “Virtual Reality and Augmented Reality, Sh. Sushil Chandra, Head BME INMAS, DRDO on 5th May,2012. Workshop on Microcontroller and Sixth Sense Robots was conducted by experts from New Delhi on 3rd and 4th November, 2012. This chapter works under the umbrella of international professional boby IET (Institution of Engineering &Texchnology) with head quarters at London. There are seven IET networks in India. IET Student chapter at TIET is associated with IET Delhi network. The primary objective of this chapter is to provide support and platform to students for interaction at national and international level and can enhance their technical knowledge, skills and broaden their vision. 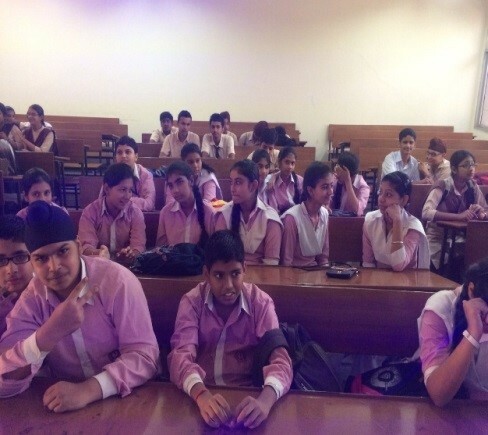 The chapter organizes number of events every year that includes invited talks, technical games, technical quizzes, educational visits, workshops, hand on experience skill development workshops for the students of TIET . One day workshop on “Impressive Job Interviews”. On Oct 28, 2013. Speaker Mr. A.M. Mishra, Zonal Head Training, MAX group, Gugaon. Interactive session with UG and PG students on “What IET has for you?” by Mr. Vishu Gupta President, Young Professional IET Group. Invited talk by Dr. S.P. Singh (Professsor, EED, IIT Roorkee) on the topic “ Applications of Power Electronics in Conventional & Renewable Generation” on Aug. 14, 2014. Invited talk by Dr. N.P. Padhay (Professsor, EED, IIT Roorkee) on the topic “Challenges ofDistributed Generation onDistribution Network on Aug. 30, 2014. One day workshop on “ Automation Tools in PLC, SCADA and HMI with interface “ on Nov. 16, 2014 by Automation Systems (System Integrator-Schneider Electric) by Ms. RosyKaplesh (Project Incharge) and her team. Two rounds of Technical quiz are organized on Nov. 14, 2014 during ARANYA. One day workshop on Testing and Quality standards of Electrical Appliances at NSIC Rajpura on Feb. 12, 2015. Technical paper presentation “PRESENT AROUND THE WORLD” (PATW-2015) level-I on March 26, 2015 for UG students and March 30, 2015 for PG and PhD. Students. Winner and runner up in each category shall participate in level-II competition at IET Delhi Network. Invited talk by Dr. S.D. Joshi (Professor, EED, IIT Delhi) on the topic “ Wavelet Tranforms” on Aug. 11, 2015. Invited talk by Dr. A. Sengupta (Director grade Scientist, NPL New Delhi) on the topic “Time Space” on Aug. 8, 2015. Two days workshop on “ Home automation, Robotics Design and Line follower “ was organized during Oct. 17-18, 2015 by WingfoTech group in association with TechKriti, IIT Kanpur. %% students participated in the workshop. Technical Project competition on circuit assembly and LED lighting assembly was organized on Oct. 18, 2015. IET student chapter TIET gets BEST student Counselor Award and Best Student Coordinator award in 2012. Ms. ManbirKaur , Student Counselor, IET Delhi Network has participated in Volunteer’s Conference of IET CVEC2013 held at Sri Lanka, organised by IET India. 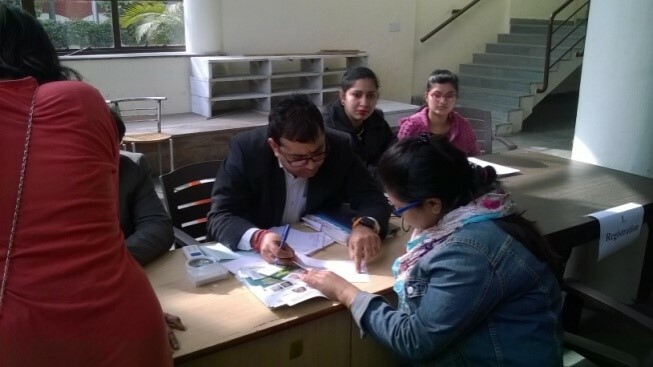 In UG category, Mr. Harsh Kothari, Mr. NiteeshDua, and in PG category Mr. Atul Thakur and Ms. Rupinderkaur participated in level –II competition of PATW 2014 held at BhartiyaVidyapeeth institute of technology and Management, New Delhi on April 16, 2014. Ms. ManbirKaur has won the first prize in Robot Simulation workshop held at Sri Lanka. Seventy annual IET student memberships and two associate ,memberships are awarded to TIET students and faculty by IET London. 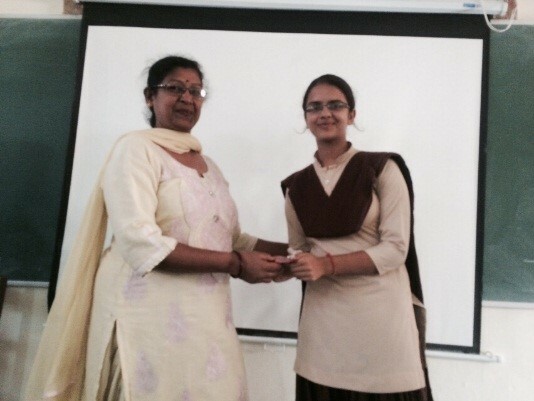 Mr. NiteeshDua gets consolation prize in UG cateogory of PATW 2014 level-II competition. This society gives opportunity to students to explore the world in different way. Students enrich their experiences with adventure trips and expand their vision for unknown challenges of life. 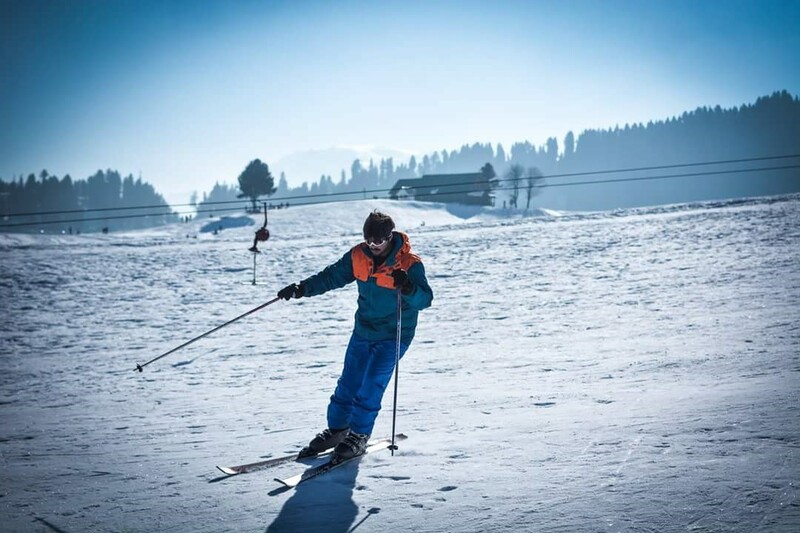 The adventure club gives exposure to adventure sports like River rafting, Mountaineering, Skiing, Paragliding, Trekking etc. In the month of June students go for mountaineering course at Atal Bihari Vajpayee Institute of Mountaineering at KuluManali. 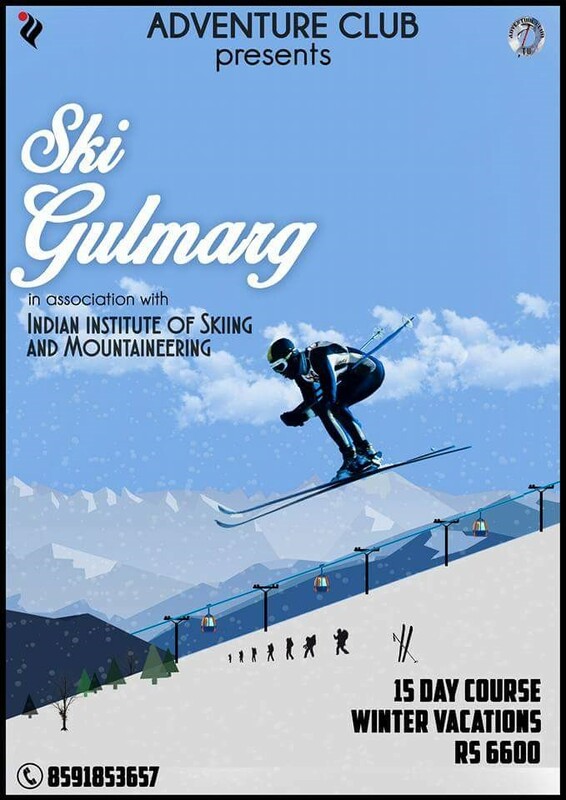 23rd December 2015- 5th January 2016 December students go toIndian institute of Skiing and mountaineering,Gulmarg for skiing. 16-17 Feb 2016: Poster Presentation and Quiz conducted to create awareness for traffic safety. 15 Feb 2016: Guest Lecture organized on Disaster Management by Mr. KakaramVerma. 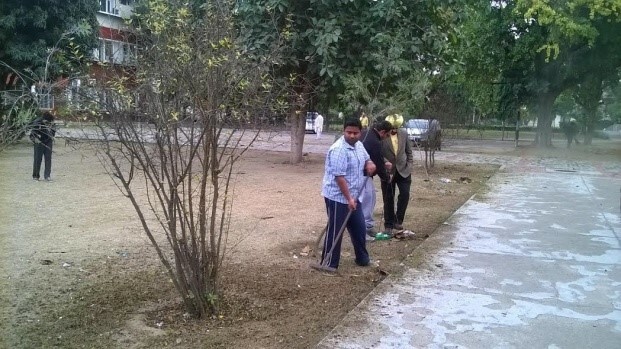 13Feb 2016: Campus cleanliness was carried out under Swachh Bharat Abhiyan. 12 Feb 2016: Free Skin check-up camp organized in Auditorium. 11 Feb 2016: Blood donation camp organized in Auditorium. 24 Feb 2015: Blood donation camp organized in Auditorium. 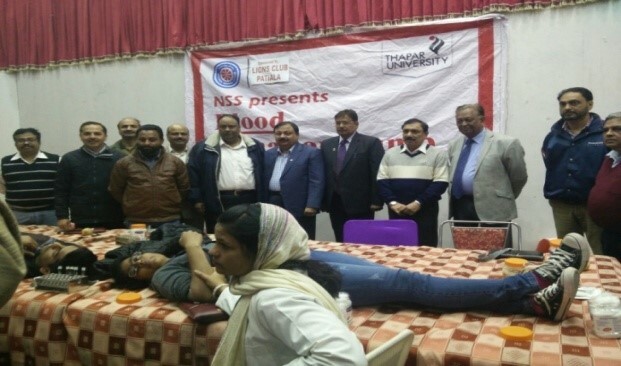 5 Dec 2014: Blood donation camp organized in Auditorium. 28 Aug 2014: Blood donation camp organized in Auditorium. 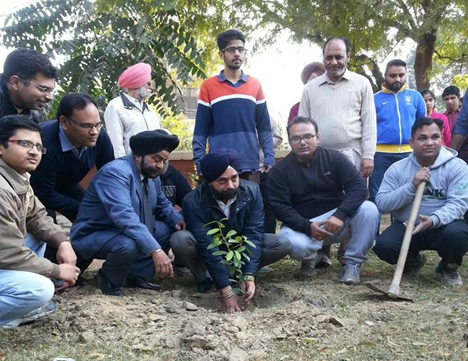 29 July 2013: Tree plantation program organized inside the Institute premises.